SV Maps is a mapping company owned by Spatial Vision. 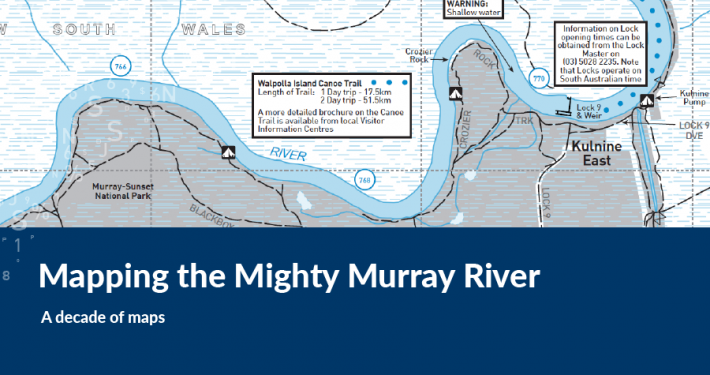 We design, create and publish a range of award-winning and innovative digital and hard copy maps to assist people plan their adventures or next holiday. 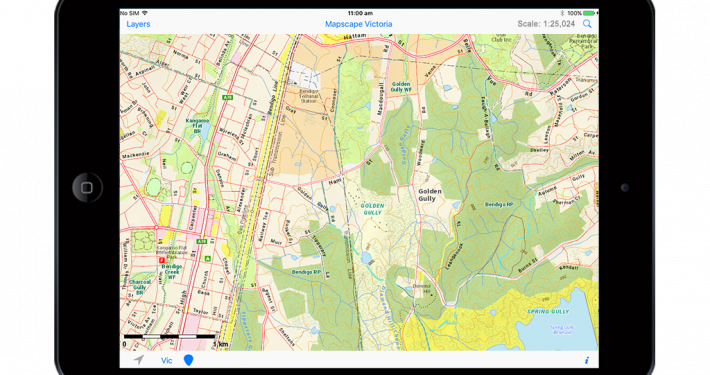 We asked Darren Edwards, founder of Trail Hiking Australia, to take one of our maps, test it in the field and then write about his experience. This is Darren’s account of hiking in Wilsons Promontory using an SVMaps Outdoor Recreation Guide. My wife and I undertook a 3 day hike recently in Victoria’s South East. Hitting the trail we thought we might just be the only ones out there that weekend. When we arrived at our camp for the first night we were met be another larger group of hikers. After chatting with them we were soon told how excellent their navigation skills were, how experienced they were and how well they knew the trail ahead, having hiked this very trail only one year prior. I was very pleased to hear that even though we had an excellent map of the Northern Prom that we had used to research the trail, campsites, water sources and possible exit points along the route. I always plan my hikes using SV Topographic Maps and I always carry a map and compass in my pack. 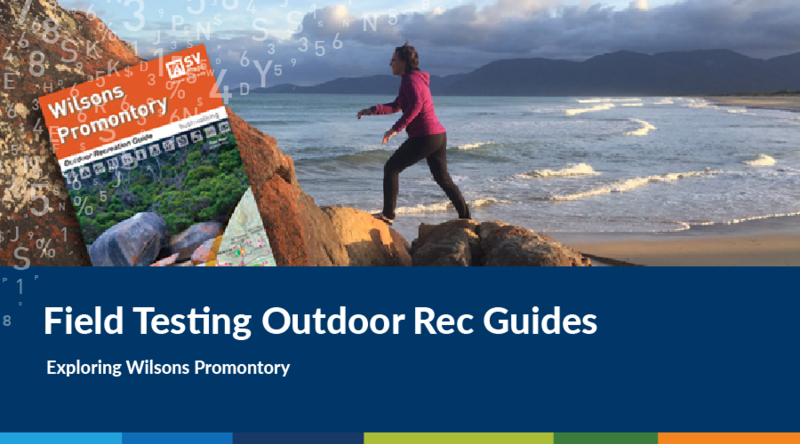 For most hikes around Victoria I highly recommend the Outdoor Recreation guides by SV Maps. I use them every time I am hiking in the areas where their maps are provided. After questioning our navigation skills and equipment I was given the thumbs up that this guy felt we were up to the task. We were told that the day ahead was particularly challenging with all of it being off-trail with bush bashing which required exceptional navigation skills. The group in question were setting off early as it was a difficult stage and required an early departure in order to arrive at the next camp, some 17.4km away, before dusk. So we woke up at 9:00am to an empty camp and after casually getting ready, set off at around 10:10am. We crossed a few bushy headlands before setting foot on our first long stretch of beach. We were a little perplexed to note that ours were the only footsteps on the sand at the start and along the entire 5km of beach. When we reached the end of the stretch of beach we stopped for about 40 minutes for lunch and noticed a couple of hikers approaching us. They were another couple who had stayed at the previous night’s camp. The couple explained that they had become lost when crossing one of the headlands due to the thick undergrowth and that they had left the camp some two hours before we had. They also explained that the large ‘experienced’ group had also left with them and were still somewhere in the bush. We were a little concerned and actively keep an eye out for them. We continued our journey to the camp site and arrived safely at around 4:00pm. It had taken us just on six hours to complete the 17.4km stage. Much to our astonishment the experienced group had still not arrived but eventually made an appearance at 6:30pm. 10 hours after their journey started. I asked the leader of their group what had happened to cause their delays to be told that they had become lost, due to the lack of trails, and had struggled through the bush for 3 hours before finding the beach. It is worth noting that this section should have only included approximately 1km of off-trail navigation. In the section they became lost I was told by the group leader that there were no trails and that they had to push through the undergrowth that was over their heads and they could only keep together through the use of whistles. When we traversed this section we in fact started on a clear trail for approximately 200m. When the trail vanished we headed to the top of the headland to assess our position, consulted out map, and within 30 minutes had started walking on the next beach. I was told that it was luck that was on our side and contrary to what we had experienced there were no trails to be found. I did not believe we had luck on our side, rather it was careful planning and navigation that allowed us to proceed without issue. I have to say I found the arrogance quite disturbing. Now I do not write this in order to undermine the expertise of this group but rather to point out that you should never ever attempt a hike without proper research, local knowledge, careful planning, a current map, compass and reliable navigation skills. Fortunately they made it safely to camp that night, albeit exhausted, but it could have been a great deal worse. SV Topographic Maps contain excellently detailed topographical and trail data, as you would expect, but there are a few things that set them apart from other maps I have used. One of the things I love are the distance markers defining sections of hiking trails. This reduces the need to measure scaled distances with your compass and allows for educated decisions to be made when planning your hikes. I can say without question that our SV Topographic Map provided us with the knowledge and confidence to get-it-right the first time and not spend hours in the bush trying to guess our way. Never head out on the trail without the necessary skills and equipment to make it back safely. Know how to read a map and never ever overestimate your capabilities when heading into remote areas. 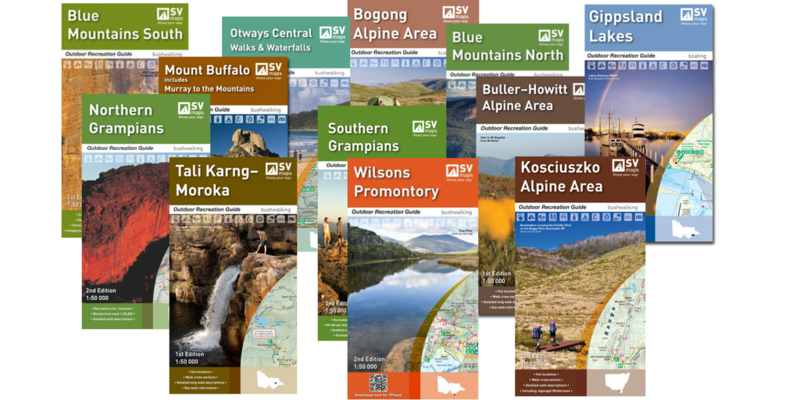 SVMaps produces 14 detailed outdoor Recreation Guides covering some of the best trail hiking areas of Victoria and NSW. 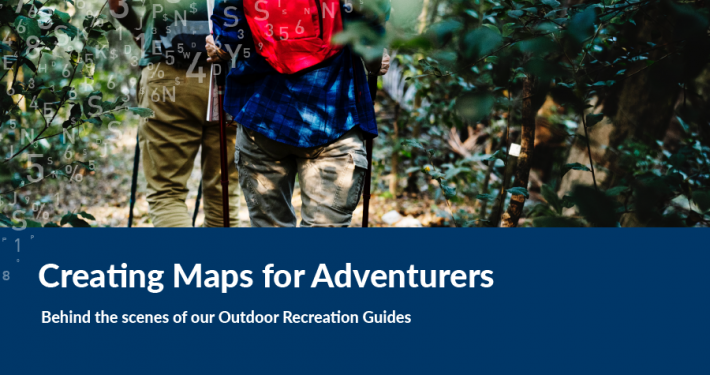 These detailed topographic maps contain the most recent hiking and camping information to ensure you know your way as you explore the outdoors.